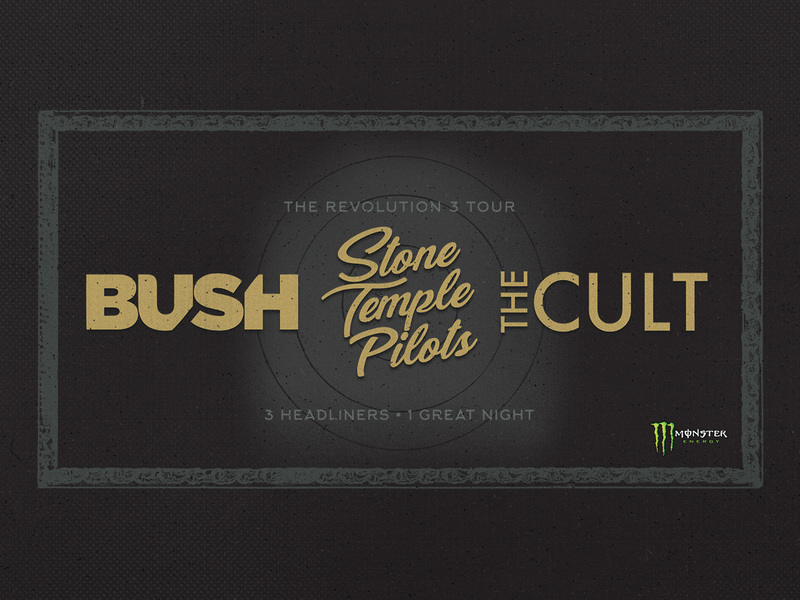 Today three of the most legendary bands in rock – Bush, The Cult, Stone Temple Pilots – announce they are teaming up to create a tri-headlining event like no other: The Revolution 3 Tour. The 20-city outing produced by Live Nation marks the first time that these forces of rock music will hit the road together. Kicking off July 18 in Nashville, TN, the trek will make stops at iconic amphitheaters and arenas across North America through early September. Tickets for The Revolution 3 Tour go on sale to the general public beginning Friday, April 6 at 10am local time at LiveNation.com.